Mr. Stolier is a founding member of the law firm of Sullivan Stolier & Schulze LLC, a firm focused on supporting the regulatory, business development and dispute resolution needs of healthcare providers. The firm provides a broad range of legal services to healthcare providers including, but not limited to, services involving reimbursement under the federal Medicare and federal/state Medicaid programs, private insurance plans, fraud and abuse and other regulatory advice, federal and state administrative and judicial advocacy, medical staff and credentialing issues and related health care matters. 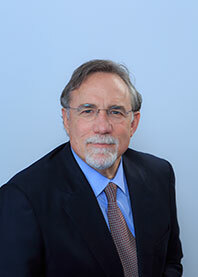 Prior to starting Sullivan Stolier & Schulze LLC, Mr. Stolier provided legal services to maritime clients, was the Legal Director Food Research and Action Center in Washington D.C., a federally funded public interest law firm working extensively in the federally funded food programs. He also worked for the United State Department of Health and Human Services, Office of General Counsel. After graduating law school supervised 25-35 lawyers as the Legal Director for the New Orleans Legal Assistance Corporation. Since the 2005 Hurricane’s Katrina and Rita, he has assisted several healthcare clients in their recovery initiatives. Mr. Stolier assisted a political subdivision hospital in southwest Louisiana when the hospital was destroyed by Hurricane Rita. Representation in this matter involved procuring and securing $25 million in federal and state funding for the construction of a new replacement state-of-the-art facility with replacement of equipment, contents and supplies. In connection with the representations the firm was intimately involved in the procurement process required under the applicable federal funding mechanism and in managing the FEMA project worksheet (PW) process. Additional disaster recovery projects in connection with two additional replacement facilities, one in St. Bernard Parish, and one in New Orleans East. Mr. Stolier has worked on complex procurement policies in connection with CDBG funding, coordination of a team of New Market Tax Credit (NMTC) consultants, HUD 242 financing along with funding and capital outlay process.